Western blot analysis is shown using Affinity Purified anti-Collagen I antibody to detect expression of collagen I in Wistar rat hepatic stellate cells (HSC) in control (GFP-transduced) (left lane) and PPARg-transduced cell lysates (right lane). Protein staining shown below each blot depicts equal protein loading. An equal amount of the whole cell protein (100 µg) was separated by SDS-PAGE and electroblotted to nitro-cellulose membranes. Proteins were detected by incubating the membrane with anti-Collagen I antibody at a concentration of 0.2–2 µg/10 ml in TBS (100 mM Tris-HCl, 0.15 M NaCl, pH 7.4) with 5% Non-fat milk. Detection occurred by incubation with a horseradish peroxidase-conjugated secondary antibody at 1 µg/10 ml. Proteins were detected by a chemiluminescent method using the PIERCE ECL kit (Amersham Biosciences). Other detection systems will yield similar results. See Hazra et al. (2004) for additional details. Western blot of Human Collagen Type I. Lane 1: Human Collagen Type 1. Lane 2: None. Load: 50 ng per lane. Primary antibody: Collagen Type I antibody at 1:1,000 overnight at 4°C. Secondary antibody: 649 rabbit secondary antibody at 1:20,000 for 30 min at RT. Block: ABIN925618 for 30 min at RT. Predicted/Observed size: 139 & 130 kDa, 139 & 130 kDa for Collagen Type I. Other Band(s): Collagen Type I splice variants and isoforms. Immunohistochemistry of Collagen I antibody. Tissue: Normal Kidney. Fixation: formalin fixed paraffin embedded. Antigen retrieval: No antigen retrieval was performed. Primary antibody: Collagen I 1:100 4 hours at room temperature Secondary antibody: Peroxidase goat anti-rabbit at 1:10,000 for 45 min at RT. Localization: Distal tubules in normal kidney tissue. Note the absence of staining of glomeruli. Staining: antibody as precipitated red signal with a hematoxylin purple nuclear counterstain. Immunohistochemistry of Rabbit Anti-collagen type I antibody. Tissue: right lobe of the liver section. A:Central Vein (CV) fibrosis, B: Non-fibrotic CV, C: Perisinusodial fibrosis, D: Non-fibrotic area, E: Protat tract fibrosis, F: Septal fibrosis (arrow). Fixation: formalin fixed paraffin embedded. Antigen retrieval: not required. Primary antibody: Anti-collagen type I at 1:1250 for 4°C for 24hr. Secondary antibody: Peroxidase biotin-streptavidin rabbit secondary antibody at 1:10,000 for 45 min at RT. Localization: Anti-collagen type I is intra and extracellular. Staining: 3.3’-diaminobenzidine tetrahydrochloride was used as the chromogen. Nuclei were counterstained purple with hematoxylin. http://www.doi.org/10.1186/1471-2474-11-10: The testing of multi-differentiation of rabbit TSCs in vivo. A. Formation of tendon-like tissue (TT) revealed by H&E staining and immunohistochemical staining for collagen type I. The collagen fibers are parallel to each other (double arrow), indicative of formation of tendon-like tissue (inset: collagen type I staining). B. Formation of fibrocartilage-like tissue (FT) (Alcian blue staining); and C. formation of bone-like tissue (BT) (Alizarin Red S staining). (Bars: a50 μm). Cross-Reactivity (Details) Typically negligible cross-reactivity against other types of collagens was detected by ELISA against purified standards. Some class-specific anti-collagens may be specific for three-dimensional epitopes which may result in diminished reactivity with denatured collagen or formalin-fixed, paraffin embedded tissues. This antibody reacts with most mammalian Type I collagens and has negligible cross-reactivity with Type II, III, IV, V or VI collagens. Non-specific cross-reaction of anti-collagen antibodies with other human serum proteins or non-collagen extracellular matrix proteins is negligible. Purification COLLAGEN I Antibody has been prepared by immunoaffinity chromatography using immobilized antigens followed by extensive cross-adsorption against other collagens, human serum proteins and non-collagen extracellular matrix proteins to remove any unwanted specificities. Background: Collagens are highly conserved throughout evolution and are characterized by an uninterrupted ''Glycine-X-Y'' triplet repeat that is a necessary part of the triple helical structure. For these reasons, it is often extremely difficult to generate antibodies with specificities to collagens. The development of 'type' specific antibodies is dependent on NON-DENATURED three-dimensional epitopes. Rockland extensively purifies collagens for immunization from human and bovine placenta and cartilage by limited pepsin digestion and selective salt precipitation. This preparation results in a native conformation of the protein. Antibodies are isolated from rabbit antiserum and are extensively cross-adsorbed by immunoaffinity purification to produce 'type' specific antibodies. Greatly diminished reactivity and selectivity of these antibodies will result if denaturing and reducing conditions are used for SDS-PAGE and immunoblotting. Ideal for investigators involved in Cell Biology, Signal Transduction and Stem Cell research. Application Note: Anti-Collagen antibodies have been used for indirect trapping ELISA for quantitation of antigen in serum using a standard curve, for immunoprecipitation and for native (non-denaturing, non-dissociating) PAGE and western blotting for highly sensitive qualitative analysis. Storage Comment Store vial at 4° C prior to opening. This product is stable at 4° C as an undiluted liquid. Dilute only prior to immediate use. For extended storage, mix with an equal volume of glycerol, aliquot contents and freeze at -20° C or below. Avoid cycles of freezing and thawing. http://www.doi.org/10.1371/journal.pone.0009730: Both serum-free and serum-containing fibrocytes express both haematopoietic and stromal cell markers. Fibrocytes were generated from PBMC under serum-free (SF) and serum-containing (SC) culture conditions, as well as macrophages. Fibroblast cell lines were included as a positive control for stromal cell markers. Immunostaining is shown in red for the stromal markers fibronectin, collagens I and III and their rabbit IgG control, with vimentin and its mouse IgG1 control in green (A). Immunostaining is shown in red for the haematopoietic markers CD45, CD13, CD3 and CD68, and their isotype controls mouse IgG2b and IgG1 (B). Nuclear staining is shown in blue. Bar represents 50 µm. Data are representative of at least two separate experiments. http://www.doi.org/10.1016/j.jim.2010.09.025: Expression of collagen by 5 day cultured spleen cells. ACK-treated spleen cells were cultured for 5 days at 3.5 × 105 cells per well in the presence of IL-13 and M-CSF. Adherent cells were removed by trypsin-EDTA treatment and stained for the presence of CD11b. The cells were then fixed, permeabilized, stained with rabbit polyclonal antibodies, and analyzed by flow cytometry. A) Forward and side scatter characteristics of 5 day cultured spleen cells. (B) Forward and side scatter analysis of CD11b+ cells. C and D) Histograms show fluorescence intensity of FITC-conjugated goat F(ab′)2 anti-rabbit 2° (black line) compared to collagen I (red line), collagen III (blue line), and as a positive control syk (yellow line). Flow cytometry plots are representative of 3 independent experiments. C) When gating the entire live cell population R1 (from A), collagen was nearly undetectable, but when gating (D) for CD11b+ cells and region P1 (from A and B) there was an increase in the levels of both collagen I and III. E) Compared to FITC control, CD11b+ cells had a significant increase in median fluorescent intensity for collagen I and III staining (1-way ANOVA, Dunnett’s test). **, p < 0.01; ***, p < 0.001.
http://www.doi.org/10.1002/hep.25754: ASH1 positively influences the expression of TIMP-1, TGF-β-1, and Collagen I. (A) Fifty μg whole cell extract from rat HSCs harvested at days 1, 2, 3, 4, 5, 6, and 7 of in vitro culture were separated by SDS-PAGE and immunoblotted for ASH1, Collagen I, αSMA, TIMP-1, and β-actin. (B) One hundred μg of crosslinked chromatin from primary rat quiescent HSCs (top panel) or myofibroblasts (bottom panel) was incubated with 10 μg of anti-trimethyl H3K4 and ChIP assay carried out. Immunoprecipitated DNA was used as template in qPCR reactions using primers specific for TIMP-1, αSMA, TGF-β-1, and Collagen I distal promoter regions (n = 3). (C) 5 × 106 rat myofibroblasts were electroporated with 2 μg of control or ASH1 siRNA. Cells were harvested 48 hours later, and RNA and protein isolated. qRT-PCR analysis of ASH1 expression was performed (top panel). Twenty μg whole cell protein extract were separated by SDS-PAGE and immunoblotted for ASH1 and β-actin (bottom panel) (representative gel shown, n = 3). (D) RNA isolated from myofibroblasts transfected with control or ASH1 siRNA was used for qRT-PCR analysis of TIMP-1, αSMA, TGF-β-1, and Collagen I (n = 3). Error bars represent mean values ± SEM. *P < 0.05, **P < 0.01, and ***P < 0.001.
http://www.doi.org/10.4081/ejh.2012.e29: Immunoperoxidase stain for collagen type I (a–c), collagen type III (d–f) and collagen type VI (g–i). From wk 8 post-fertilization time (a, d, g) collagen is expressed in the epithelial-mesenchymal interface in the branch site and forms a sleeve around bronchiolar ducts (arrows). The surface of the terminal buds is not stained. At 10 wk pf time (b, e, h) the immunoreaction is present in the branching ducts clefts (arrows). At wk 14 of gestational age low immunoreaction for collagens type I is detected (c), but collagens type III (f) and VI (i) retain their distribution in the mesenchyme. M, mesenchyma; tb, terminal bud. http://www.doi.org/10.1016/j.tice.2013.03.001: Pulmonary fibroblasts deposit elastin and collagen within Gelfoam matrices. NNRLFs were cultured in Gelfoam sponges for 14 days, fixed, sectioned and incubated without (A and C) and with primary antibodies to elastin (B), and type I collagen (D), followed by incubation with FITC-linked (A and B, green) or Cy3-linked (C and D, red) secondary antibodies. Secondary antibody alone control samples were visualized using a 20x objective in order to be able to observe the low background fluorescence. The primary antibody samples were observed with a 10x objective so that the distribution of elastin and collagen deposition could be visualized throughout a larger region of the cell-Gelfoam constructs. http://www.doi.org/10.1371/journal.pone.0091141: Collagen Far Western blot of B. fragilis GSH18 wild-type and cbp1 − mutant. (A) Coomassie stained gel, (B) Far Western. Lanes: (M): PageRuler™ #SM0671; (1) wild-type OMP; (2) cbp1 -mutant OMP. http://www.doi.org/10.1016/j.jss.2014.03.036: Oridonin suppresses α-SMA and ECM protein expression. LX-2 cells were incubated with oridonin (7.5 μmol/L) at time points as indicated. Whole cell lysates were analyzed by Western blot with antibodies for Type I collagen (A), α-Smooth muscle actin (B) and fibronectin (C). GAPDH was used as loading control. Densitometric analyses of bands were quantified and data expressed as fold change of control normalized to GAPDH. The results are representative of at least three independent experiments. http://www.doi.org/10.1002/path.4530: Inhibition of collagen prolyl hydroxylase by PDC significantly reduced collagen production in vitro and attenuated BLM-induced lung fibrosis in vivo. (A–B) Inhibition of collagen prolyl hydroxylase by PDC (7.2 mM) in cultured human lung fibroblast cell line HLF1 significantly reduced TGF-β-stimulated proline hydroxylation (A) in cell lysate, and collagen production (B) detected in the conditioned medium. (C) Intratracheal delivery of PDC significantly reduced the mortality rate in high dose BLM-challenged mice during fibrotic stage. (D–E) Local delivery of PDC also significantly attenuated BLM-induced mouse lung fibrosis, shown by lung tissue hydroxyproline measurement (D) and fibrotic histopathology in H&E stained lung tissue sections (E). http://www.doi.org/10.1093/hmg/ddv154: SMT022357 improves the pathology in the diaphragm. (A) Immunofluoresence staining for utrophin in the diaphragm of 7 weeks old mdx mice treated for 5 weeks with 30 mg/kg/day SMT022357 or vehicle (n = 10 per group). Sections were stained with anti-utrophin polyclonal antibody URD40 and anti-rabbit secondary antibody. H&E-stained transverse muscle sections of diaphragm muscle (7 weeks of age) showed improved morphology in treated vs. vehicle mdx mice (n = 10 per group). Masson's trichrome staining of diaphragm in untreated vs. treated mdx mice (n = 8) indicated that SMT022357 treatment reduced the amount of collagen infiltration (stained in blue); immunofluorescence using anti-collagen type I antibody confirmed a decrease of collagen in the muscular endomysium of SMT022357 treated diaphragm. Scale bar 100 µm. (B) Diaphragms of mice dosed with SMT022357 showed a significant 35.9% decrease in centrally nucleated fibres compared to the vehicle group. Values are mean ± SEM of n = 8 per groups; ***P < 0.001. (C) The necrotic diaphragm area of mice treated with SMT022357 significantly decreased by 56.6% compared to the vehicle group. Values are mean ± SEM of n = 8 per group; *P < 0.05. (D) The vehicle mdx diaphragm exhibits positive staining with Alizarin Red indicating the presence of calcium deposits. SMT022357 treatment completely prevented the calcification. (n = 10 per group); Scale bar: 100 µm. http://www.doi.org/10.1080/15476286.2014.996467: SIM mutant as dominant negative protein for type I collagen expression. (A) Binding of PDI and 3’A mutants of LARP6. WT HA-LARP6 and the mutants indicated were expressed in HLFs and cell extracts were used in gel mobility shift experiments. P, probe alone, CON, extract of nontransfected cells. Expression of the transfected proteins is shown in B. (B) SIM mutant acts as dominant negative for collagen synthesis. Analysis of the cellular medium. Collagen α1(I) (COL1A1) and α2(I) (COL1A2) polypeptides were analyzed in the cellular medium of cells in A by western blot. Loading control, fibronectin (FIB). LARP6, expression of the transfected proteins in cellular extract. (C) Intracellular level of collagen polypeptides. Expression of collagen α1(I) (COL1A1) and α2(I) (COL1A2) polypeptides in the cellular extract after overexpression of WT HA-LARP6 and the indicated mutants, analyzed by protein gel blot. Loading control: actin (ACT). LARP6, expression of the transfected proteins. (D) Total RNA was extracted from cells in C and expression of collagen α1(I) (COL1A1) and α2(I) (COL1A2) mRNAs analyzed by RT-PCR. Loading control: GAPDH mRNA. http://www.doi.org/10.1016/j.jss.2015.07.042: CYD0682 suppresses endogenous ECM protein expression. LX-2 cells were incubated with CYD0682 (0.75 μM) at time points as indicated. Whole cell lysates were analyzed by Western blot with antibodies for type I collagen and fibronectin (A). LX-2 cells were treated with CYD0682 at indicated doses for 24 hours (B). GAPDH was used as loading control. The results are representative of at least three independent experiments. LX-2 cells were treated for 24 hours with 0.75 μM of CYD0682 and stained for type I collagen (green) and DAPI nuclear stain (blue). The images were overlaid and demonstrate a drastic reduction in type I collagen staining (C). http://www.doi.org/10.1371/journal.pone.0147804: Immunofluorescence and SHG detection of collagens in NAFLD stage 0 fibrosis. Immunofluorescence (IF) stainings of collagens type I and III displayed as red and SHG signals from the same sections displayed as green, colocalization is displayed as yellow in the overlay image. White rectangle in A shows the position of insets highlighted in B. Asterisk indicates a portal triad. Arrows indicate examples of fine SHG signals not evident by collagen immunostaining. Scale bar: 50μm. http://www.doi.org/10.1038/srep22597: Reduced secretion of type I collagen by Akt inhibition and S451A overexpression. (a) Top panels: the level of collagen α1(I) (COL1A1) and collagen α2(I) (COL1A2) polypeptides in HLFs was analyzed intracellularly and in the cellular medium by Western blotting after DMSO (−) or Akt inhibiton by GSK-2141795 (+). Loading controls: β-actin (ACT) and fibronectin (FIB). Bottom panel: Western blots from 3 independent experiments as shown in top panels were quantified, normalized to β-actin (for intracellular collagen) and fibronectin (for medium collagen) and expressed as percentage of control cells. Error bars: standard deviation (SD) (n = 3). (b) Hyper-modifications of collagen α2(I) polypeptide after Akt inhibition analyzed by 2DGE and Western blotting. Hyper-modifications are indicated by arrows. The scale on the top indicates pH. (c) Dominant negative effect of S451A mutant on secretion of type I collagen. COL1A1 and COL1A2 polypeptides were measured in cellular extracts (lanes 1–3) and medium (lanes 4–6) of HLFs overexpressing wt HA-LARP6, S451A mutant or in mock transfected cells. Loading controls: β-actin (ACT) and fibronectin (FIB). HA-LARP6: expression of transfected proteins. (d) Same experiment as in (c), except S451D mutant was analyzed. (e) Expression of collagen mRNAs. Total RNA extracted from cells overexpressing wt and S451A LARP6 was analyzed for expression of COL1A1 and COL1A2 mRNAs by real-time PCR and normalized to β-actin mRNA. Error bars: SD (n = 3). (f) Modifications of collagen α2(I) polypeptide in cells overexpressing wt HA-LARP6, S451A or S451D mutant analyzed by 2DGE and Western blotting. Hyper-modifications are indicated by arrows and pH scale is on the top. (g) GSK-2141795 has no effect on cellular level of collagen polypeptides. HLFs were transfected with wt HA-LARP6 or S451D mutant and treated with DMSO (-) or GSK-2141795 (+) and collagen polypeptides (COL1A1 and COL1A2) were analyzed in cellular extracts by Western blotting. ACT: β-actin loading control. HA-LARP6: expression of transfected proteins. (h) Rescue of collagen secretion by S451D mutant. The medium from cells in (g) was analyzed for collagen polypeptides (COL1A1 and COL1A2) by Western blotting. FIB: fibronectin loading control. http://www.doi.org/10.1038/srep33836: Collagen type I expression in the IVD tissue. At day 21 sagittal sections of control, cavity C + MSCs were analyzed for Col type I expression and distribution by IHC. (A–C) Overall expression of Col type I in the IVD tissue. One representative donor is presented (scale bar-2000 μm). Col I expression was more pronounced in the outer AF area, decreasing towards the NP central area (n = 3). (A′–C′) Magnified images of the AF area (scale bar-500 μm); (a–c) Magnified images of the NP area (scale bar-500 μm). 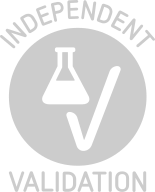 (D) Qualitative assessment of col type I expression in the IVD matrix. A Higher expression was observed in lesion groups (cavity and C + hMSCs). http://www.doi.org/10.1038/srep41173: Inhibition of mTORC1 reduces secretion of type I collagen. (a) Intracellular collagen polypeptides in HLFs treated with RAPA. HLFs were treated with CON or RAPA for 24 h and intracellular (CELL) level of collagen α1(I) (COL1A1) and α2(I) (COL1A2) polypeptides was analyzed by Western blot. Loading control: β-actin (ACT). (b) Level of collagen polypeptides in the cellular medium. Collagen polypeptides in the medium (MED) of cells in (a) were analyzed by Western blot. Loading control: fibronectin (FIB). (c) Rapamycin does not change expression of collagen mRNAs. Total RNA from cells in (a) was analyzed for expression of COL1A1 and COL1A2 mRNA by real-time RT-PCR. Expression was normalized to the internal control β-actin mRNA and presented as mean ± SD (n = 3). (d) Change in pI of COL1A2 by rapamycin. COL1A2 from control HLFs or HLFs treated with RAPA for 24 h was analyzed by 2DGE. Arrow: isoelectric focusing of COL1A2 in control cells. (e) Time course of inhibition of type I collagen by rapamycin. HLFs were treated with RAPA for the indicated time periods and intracellular (CELL) level of collagen polypeptides was analyzed by Western blot. CON; untreated cells. (f) Time course of inhibition of collagen secretion. Collagen in the medium of cells in (e) was analyzed by Western blot. http://www.doi.org/10.1039/C6RA17459K: HJC0123 inhibits hepatic stellate cells activation and decreases endogenous ECM proteins expression. The expression levels of α-SMA, a marker of HSCs activation, were measured by (A) Western immunoblotting and (B) immunofluorescence analysis. HJC0123 treatment (1 μM for 24 hours) significantly inhibited the expression of α-SMA in a dose-dependent manner. (C) LX-2 cells treated with HJC0123 (1 μM for 24 hours) showed a significant decrease of expression of Collagen type I, assessed by Immunofluorescence staining. (D) HJC0123 treatment (1 μM) significantly reduced the expression of fibronectin in a time-dependent manner and (E) significantly decreased the endogenous expression of both ECM proteins, fibronectin and collagen type I, in a dose-dependent fashion (24 hours treatment); proteins levels were measured by Western immunoblotting. (F) Secretion of IL-6 was not significantly affected by TGF-β stimulation (2 ng/mL). However, HJC0123 (1μM) used alone or as pre-treatment followed by TGF-β stimulation significantly increased IL-6 production. Experiments were repeated three times and representative results are shown. Error bars indicate ± SE. http://www.doi.org/10.1038/ncomms15861: At least two grid per tissue biopsies were prepared. Scale bar, 1 μm. (c,e) Comparison of non-nodular (Nn) and nodule (Nod) tissues from the ear and the head of a HFS patient. Tissue lysates were analysed by SDS–PAGE using 4–12% Bis-Tris gradient gels under reducing condition followed either by staining with Coomassie blue (c) or by western blot for collagen VI, collagen I or fibronectin (e). http://www.doi.org/10.15252/embj.201695553: p21 knockout alleviates liver fibrosis. A–C Liver sections from wild‐type (WT) or p21‐knockout mice (p21−/−) treated with CCl4 (n = 10 from each group) or vehicle (oil; n = 3 (WT) and n = 4 (p21−/−)) were stained with SA‐β‐gal (A) cleaved caspase‐3 (B) and Sirius Red (C). D Quantification of SA‐β‐gal staining of sections presented in (A). E Quantification of Sirius Red staining presented in (C). F Relative expression levels of mRNA of p21, the HSC marker α‐SMA (ACTA2), and the fibrosis markers COL1A1 (collagen, type I, alpha 1) and TGF‐β1 in WT and p21−/− fibrotic mouse livers. G Relative expression levels of mRNA in p21 and COL1A1 in BJ DIS cells after transduction with sip21 and siCtrl at the indicated time points. H Western blot analysis of p21 and collagen‐1 (COL1) proteins after sip21 and siCtrl treatment of G and DIS cells. I Sirius Red staining of DIS cells after transduction with sip21 and siCtrl. J Quantification of Sirius Red staining presented in (H). Data information: Data were analyzed using Student's t‐test. *P < 0.05. **P < 0.005. ***P < 0.0005. Data represent mean ± SEM (n = 3). Source data are available online for this figure. http://www.doi.org/10.1007/s00395-017-0623-4: The augmented participation from infiltrating monocytes into myeloid-dependent fibrosis in the aging B6J heart. A, Analysis of the contribution of resident (CD45lo) and infiltrating (CD45hi) leukocytes to the M2a macrophage/myeloid fibroblast pool by flow cytometry. B, An increased collagen expression by the M2a macrophages/myeloid fibroblasts in the aging B6J hearts. Upper panel shows representative images of M2a macrophage/myeloid fibroblasts (Col1a+CD301+CD45+) and the quantification of mean fluorescence intensity (MFI) of collagen type I in Col1+CD301+CD45+ M2a macrophage/myeloid fibroblasts. Results are represented as mean ± SEM. N= 6, 11, 6, 4 for young B6J and aged B6J, MCP-1KO, and B6N respectively. http://www.doi.org/10.1172/jci.insight.92192: Transgenic VEGFA overexpression reduced bleomycin-induced lung fibrosis. VEGFA overexpression was induced by doxycycline 3 days before bleomycin administration and was maintained by doxycycline in the drinking water. (A–D) Bleomycin-induced collagen gene expression at day 14 as measured by quantitative PCR (qPCR) (A), whole lung collagen protein levels at day 14 measured by Sircol assay (B), representative lung sections stained with Masson’s trichrome to depict the degree of fibrosis at day 14 in WT and VEGF-Tg mice that received bleomycin or vehicle (PBS) (C), and fibrosis semiquantified using modified Ashcroft score analysis (D). (E) In a separate study, VEGF overexpression was induced for 7 days prior to bleomycin administration and whole lung collagen protein analyzed using the Sircol assay 14 days after bleomycin. (F–H) Fold change in whole lung gene expression 14 days after bleomycin as measured by qPCR in Acta1 (F); Tgfb1, Ctgf, and Mmp12 (G); and Wisp1 and Cd44 (H) gene expression in WT and VEGF-Tg mice that had 3 days of VEGF overexpression prior to bleomycin administration. In the event a gene was undetectable, it was set as zero for this comparison. Bars represent mean ± SEM. n = 3–5 WT mice per group, n = 7–12 VEGF-Tg mice. *P ≤ 0.05, **P ≤ 0.01, ***P ≤ 0.005, ****P ≤ 0.001 induced by bleomycin in comparison with the relevant strain control, or ##P ≤ 0.01, ###P ≤ 0.005, ####P ≤ 0.001 comparing VEGF-Tg with WT bleomycin challenged mice via two-way ANOVA analysis. http://www.doi.org/10.1007/s11010-015-2562-4: CYD0692 suppresses endogenous and TGF-β induced ECM protein expression. LX-2 cells were incubated with CYD0692 (0.75 μM) at time points as indicated. Whole cell lysates were analyzed by Western blot with antibodies for α-Smooth muscle actin (A), Type I collagen and fibronectin (B), and mmp-3 (C). LX-2 cells were incubated with CYD0692 (0.75 μM) for 2 hours and then treated with TGF-β (2 ng/mL) for 18 hours (D), whole cell lysates were analyzed by Western blot with antibodies for fibronectin, Smad2/3, phosphorylated-Smad2/3, ERK1/2, and phosphorylated-ERK1/2. GAPDH was used as loading control. The results are representative of at least three independent experiments. http://www.doi.org/10.1038/s41598-018-21194-3: Decreased gene and protein expression of Tnmd in Scx-deficient mice. (a–o) In situ hybridisation with antisense probes for Col1a1 (a,d,g,j,m), Scx (b,c), and Tnmd (e,h,k,n) or a sense probe for Tnmd (f,i,l,o) was performed on semiserial sections prepared from the legs of a Scx+/− embryo at E18.5 (a,b), a Scx+/− neonate at P1 (c–f,j–l) or a Scx−/− neonate at P1 (g–i,m–o). Sagittal sections of the knee joint (a,b,d–i) and the ankle (c,j–o) are shown. Black and hollowed arrowheads in (g,h,m, and n) indicate the tendons/ligaments that were positive or negative staining with the Tnmd antisense probe, respectively. (p–s) Double immunostaining of Chmd (green) and Col1 (red) (p,r) or Tnmd (red) (q,s) was performed on frozen sections prepared from Scx+/− (p,q) and Scx−/− (r,s) at P1. Sagittal sections of the ankle are shown. White and hollowed arrowheads in (r,s) indicate the regions of Achilles tendon that were positive and negative for staining with the Tnmd antibody, respectively. acl, anterior cruciate ligament; At, Achilles tendon; ca, calcaneus; fe, femur; pa, patella; pcl, posterior cruciate ligament; pl, patella ligament; qft, quadriceps femoris tendon. Scale bars, 500 μm. http://www.doi.org/10.1167/iovs.17-23702: LPA increases α-SMA and ECM production in HTM cells. (A) Cell lysates (10 μg protein) derived from serum-starved HTM cells treated with LPA (20 μM for 6 hours) showed significantly increased levels of α-SMA, laminin, collagen type I, and fibronectin compared with control cells based on immunoblotting analyses. Histograms represent values (mean ± SEM) derived from four replicate analyses. *P ≤ 0.05. This observation was further confirmed by immunofluorescence analysis as shown in panel (B). Representative confocal images of immunostained cells treated with LPA (6 hours) show relatively higher staining for α-SMA, laminin, collagen type I, and fibronectin compared with the control cells. Scale bar: 20 μm. http://www.doi.org/10.1371/journal.pone.0197777: Recombinant ACLP inhibits adipogenesis and enhances myofibroblast differentiation in human adipose stromal cells. A, Scheme of time course for adipogenesis of hASC. B, hASC derived from subcutaneous adipose depots were induced to undergo adipogenesis with CDM on day 0. Protein was harvested on days 0, +1, +2, +8 and +15. Protein expression was analyzed using SDS-PAGE and Western blot with antibodies against ACLP, α-SMA, FABP4 and cyclophilin-A. C, Omental hASC were induced to undergo adipogenesis with CDM on day 0. Protein was harvested on days 0, +1, +2, +8 and +15. Protein expression was analyzed using SDS-PAGE and Western blot with antibodies against ACLP, α-SMA, FABP4 and cyclophilin-A. D, Scheme of adipogenesis for hASC and rACLP treatment. E, Subcutaneous hASC were treated with 30 nM rACLP on days -2, -1 and 0 and induced to undergo adipogenesis with CDM on day 0 and +4. Protein was harvested on day +15 and analyzed by SDS-PAGE and Western blot with antibodies against collagen, α-SMA, perilipin, FABP4 and CypA (n = 3). F, Subcutaneous hASC were treated with 30 nM rACLP on days -2, -1, and 0 and induced to undergo adipogenesis with CDM on day 0 and +4. On day +15 cells were fixed, stained, imaged and quantified with Oil Red O dye (n = 5). Data were normalized relative to control. * p < 0.05 versus control. Data presented are expressed as mean ± SD. The scale bar represents 2 mm. http://www.doi.org/10.1177/2041731418810164: Representative histological analysis for collagen quantification of (a) native and (b) decellularized equine lung tissue. The lung tissue samples were stained with picrosirius red (red = collagen). Bar graph shows collagen area (%). Asterisk indicates significance of difference between the groups (*p < 0.005; **p < 0.05). http://www.doi.org/10.1177/2472630318776594: Histological analysis of muscle and tendon monoculture tissue model differentiation. (A) A standard dumbbell-shaped muscle model GP5 was differentiated for 7 days (grown for 9 days in total) and was immunostained for myosin heavy chain (MHC). (B) Nondifferentiated muscle model stained for MHC after 9 days in culture (proliferation model) (red: cell nuclei stained with propidium iodide). (C) Higher magnification of multinucleated and striated myofibers (green: MHC, red: cell nuclei stained with propidium iodide). (D) α-Actinin immunostaining (green: α-actinin) and (E) f-actin staining (green: f-actin) of a G5 bioink/muscle model differentiated for 14 days (red: cell nuclei stained with propidium iodide). (F, G) Collagen I staining of tendon models printed with G5 (F) and GP5 (G) and differentiated for 7 days (grown for 9 days in total). (H) For comparison, a proliferation model after 9 days in culture, stained for collagen I (green: collagen I, red: cell nuclei). (I, J) Collagen III staining of tendon models printed with GP5 (I) after differentiation for 7 days (9 days in culture), in comparison to a proliferation model (J) after 9 days (green: collagen III, red: cell nuclei). Scale bars: (A) 2 mm, (B) 1 mm, (C–G) 50 µm, and (H–J) 100 µm. Product cited in: Ho, Skiba, Ullmer, Rao: "Lysophosphatidic Acid Induces ECM Production via Activation of the Mechanosensitive YAP/TAZ Transcriptional Pathway in Trabecular Meshwork Cells." in: Investigative ophthalmology & visual science, Vol. 59, Issue 5, pp. 1969-1984, 2019 (PubMed). Bürgi, Kunz, Abrami, Deuquet, Piersigilli, Scholl-Bürgi, Lausch, Unger, Superti-Furga, Bonaldo, van der Goot: "CMG2/ANTXR2 regulates extracellular collagen VI which accumulates in hyaline fibromatosis syndrome." in: Nature communications, Vol. 8, pp. 15861, 2018 (PubMed). Zhang, Stefanovic: "mTORC1 phosphorylates LARP6 to stimulate type I collagen expression." in: Scientific reports, Vol. 7, pp. 41173, 2018 (PubMed). Hicks, Goossens, Blas-García, Tsuchida, Wooden, Wallace, Nieto, Lade, Redhead, Cederbaum, Dudley, Fuchs, Lee, Hoshida, Friedman: "Transcriptome-based repurposing of apigenin as a potential anti-fibrotic agent targeting hepatic stellate cells." in: Scientific reports, Vol. 7, pp. 42563, 2018 (PubMed). Trial, Heredia, Taffet, Entman, Cieslik: "Dissecting the role of myeloid and mesenchymal fibroblasts in age-dependent cardiac fibrosis." in: Basic research in cardiology, Vol. 112, Issue 4, pp. 34, 2018 (PubMed). Cummins, Wang, Nunez Lopez, Graham, Tie, Zhou, Radhakrishnan: "Luteolin-Mediated Inhibition of Hepatic Stellate Cell Activation via Suppression of the STAT3 Pathway." in: International journal of molecular sciences, Vol. 19, Issue 6, 2018 (PubMed). Lehmann, Buhl, Alsafadi, Klee, Hermann, Mutze, Ota, Lindner, Behr, Hilgendorff, Wagner, Königshoff: "Differential effects of Nintedanib and Pirfenidone on lung alveolar epithelial cell function in ex vivo murine and human lung tissue cultures of pulmonary fibrosis." in: Respiratory research, Vol. 19, Issue 1, pp. 175, 2018 (PubMed). Jager, Lee, Li, Farmer, Fried, Layne: "Aortic carboxypeptidase-like protein enhances adipose tissue stromal progenitor differentiation into myofibroblasts and is upregulated in fibrotic white adipose tissue." in: PLoS ONE, Vol. 13, Issue 5, pp. e0197777, 2018 (PubMed). Laternser, Keller, Leupin, Rausch, Graf-Hausner, Rimann: "A Novel Microplate 3D Bioprinting Platform for the Engineering of Muscle and Tendon Tissues." in: SLAS technology, Vol. 23, Issue 6, pp. 599-613, 2018 (PubMed). Shukunami, Takimoto, Nishizaki, Yoshimoto, Tanaka, Miura, Watanabe, Sakuma, Yamamoto, Kondoh, Hiraki: "Scleraxis is a transcriptional activator that regulates the expression of Tenomodulin, a marker of mature tenocytes and ligamentocytes." in: Scientific reports, Vol. 8, Issue 1, pp. 3155, 2018 (PubMed). Roselló-Díez, Stephen, Joyner: "Altered paracrine signaling from the injured knee joint impairs postnatal long bone growth." in: eLife, Vol. 6, 2018 (PubMed). Zhang, Stefanovic: "Akt mediated phosphorylation of LARP6; critical step in biosynthesis of type I collagen." in: Scientific reports, Vol. 6, pp. 22597, 2017 (PubMed). Komatsu, Ibi, Chosa, Kyakumoto, Kamo, Shibata, Sugiyama, Ishisaki: "Zoledronic acid suppresses transforming growth factor-β-induced fibrogenesis by human gingival fibroblasts." in: International journal of molecular medicine, Vol. 38, Issue 1, pp. 139-47, 2017 (PubMed). Murray, Habiel, Hohmann, Camelo, Shang, Zhou, Coelho, Peng, Gulati, Crestani, Sleeman, Mustelin, Moore, Ryu, Osafo-Addo, Elias, Lee, Hu, Herazo-Maya, Knight, Hogaboam, Herzog: "Antifibrotic role of vascular endothelial growth factor in pulmonary fibrosis." in: JCI insight, Vol. 2, Issue 16, 2017 (PubMed). Yang, Peng, Gopalan, Gao, Chen, Joyner: "Stromal hedgehog signaling maintains smooth muscle and hampers micro-invasive prostate cancer." in: Disease models & mechanisms, Vol. 10, Issue 1, pp. 39-52, 2017 (PubMed). Yosef, Pilpel, Papismadov, Gal, Ovadya, Vadai, Miller, Porat, Ben-Dor, Krizhanovsky: "p21 maintains senescent cell viability under persistent DNA damage response by restraining JNK and caspase signaling." in: The EMBO journal, Vol. 36, Issue 15, pp. 2280-2295, 2017 (PubMed). Nunez Lopez, Bohanon, Wang, Ye, Corsello, Rojas-Khalil, Chen, Chen, Zhou, Radhakrishnan: "STAT3 Inhibition Suppresses Hepatic Stellate Cell Fibrogenesis: HJC0123, a Potential Therapeutic Agent for Liver Fibrosis." in: RSC advances, Vol. 6, Issue 102, pp. 100652-100663, 2016 (PubMed). Pirhonen, Arola, Sädevirta, Luukkonen, Karppinen, Pihlajaniemi, Isomäki, Hukkanen, Yki-Järvinen, Ikonen: "Continuous Grading of Early Fibrosis in NAFLD Using Label-Free Imaging: A Proof-of-Concept Study." in: PLoS ONE, Vol. 11, Issue 1, pp. e0147804, 2016 (PubMed). Bohanon, Wang, Graham, Ding, Ding, Radhakrishnan, Rastellini, Zhou, Radhakrishnan: "Enhanced effects of novel oridonin analog CYD0682 for hepatic fibrosis." in: The Journal of surgical research, Vol. 199, Issue 2, pp. 441-9, 2016 (PubMed). Bohanon, Wang, Graham, Prasai, Vasudevan, Ding, Ding, Radhakrishnan, Rastellini, Zhou, Radhakrishnan: "Enhanced anti-fibrogenic effects of novel oridonin derivative CYD0692 in hepatic stellate cells." in: Molecular and cellular biochemistry, Vol. 410, Issue 1-2, pp. 293-300, 2016 (PubMed).